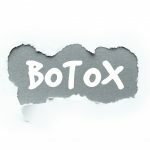 Botox or Botullinum toxin is a chemical that is used for treatment of many medical conditions. Many people think of Botulism which is when you get sick from ingesting the chemical from expired food or for plastic surgery treatments. Other treatments people have heard of include treatments for migraines. In our office it is used for a few treatments including blepharospasm, hemifacial spasm, and myokymia. Blepharospasm is a condition which causes involuntary spasms of the eyelid muscles. This in turn can create symptoms of irritation, dryness and in worst case scenarios cause functional blindness due to the inability for the eyes to stay open. This condition can be exacerbated in bright lights or from TV or computer screens. The goal of the treatment is to stop the innervation of the affected eyelid muscles to stop to spasms from occurring. Botox will block the signal of the cell that stimulates the spasm to occur and in turn the control of the eyelid improves dramatically. Hemifacial spasm is a condition that affects the nervous system. It causes muscles on one side of the face to spasm involuntarily. It tends to occur more frequently in middle to elderly aged women and of Asian descent. Some of the things that can cause this condition include trauma, a growth, a blood vessel pressing on a nerve or the cause is unknown. The treatment of Botox will also stop the innervation of the nerve to stop the spasm from occurring. Myokymia is a condition that causes spasms of the eyelid. It occurs on one side and can be either the upper or lower eyelid. Causes include sleep deprivation, increased stress, dehydration, chemical changes including quitting smoking or drinking to name a few. Once again Botox will decrease the spasm from occurring due to blocking the signal to the eyelid muscle. If you or anyone you know has any of these conditions or if you exhibit symptoms or spasms of one or both of your eyelids or if one side of your face twitches then please call (860) 233-2020 to schedule a consult with our Oculoplastics specialist to see if Botox is a treatment for you.